Was cleaning out our basement yesterday and found this behind a bunch of random crap in a corner. 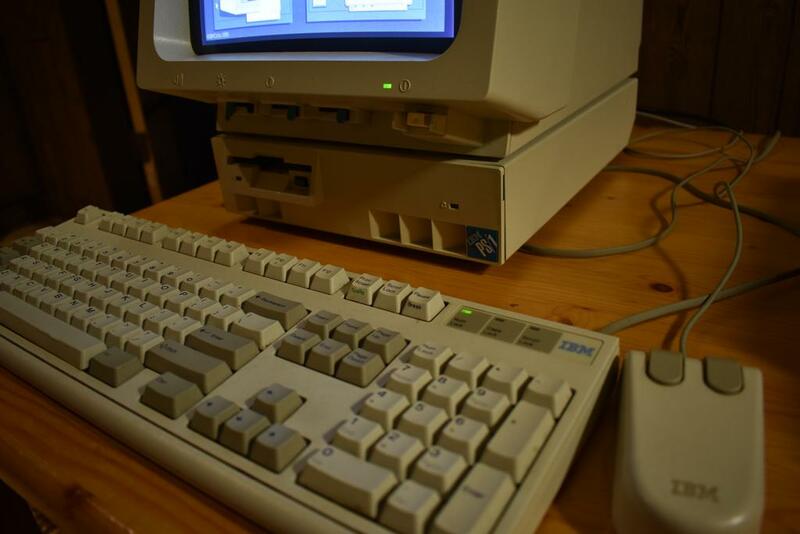 This was the first computer I ever used back when I was a kid. Amazingly it still seems to work just fine. Anyone else have one? Wow a DOS format I remember my Uncle using them back when. Hey maybe Bill Gates wants to put that into his Microsoft museum , Cool find.. Look how far we came. I gave up on Microsoft years ago, I'm an Apple guy. for testing our Pool Light Control Modules. run a Pool Room up to 48 tables. that we used to service. Where's the t-rex? 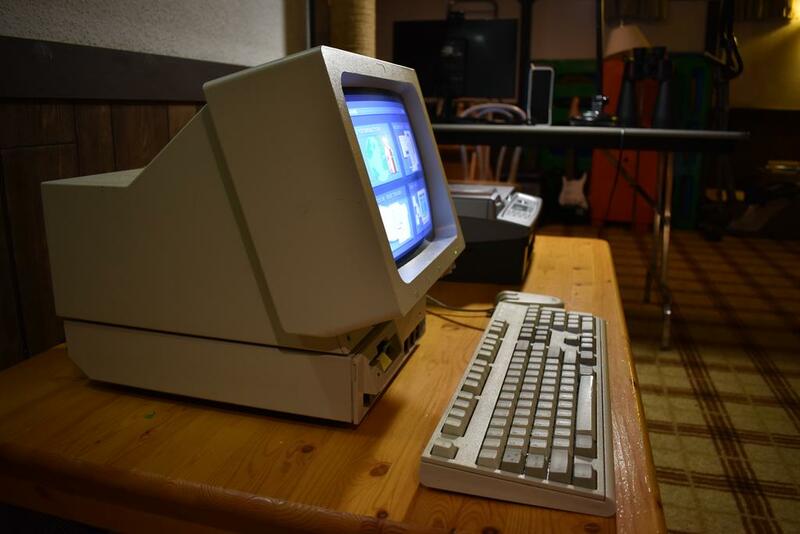 That is one seriously old pc. But then again, the laptop i'm using now will be like that one day. Amazing that it is still fully functional. Take great care of that. Oh this brings back memories. My first computer was a System 80 sold by D.Smith Electronics. and running Level II BASIC on 16 kilobytes of RAM. Programmes were stored on cassette tapes, yes C90's LOL, and read sequentially. by learning Binary and interfacing via the Parallel Port, using Peek and Poke commands in Basic. This enabled me to turn on LED's and other devices using a custom circuit board I build. 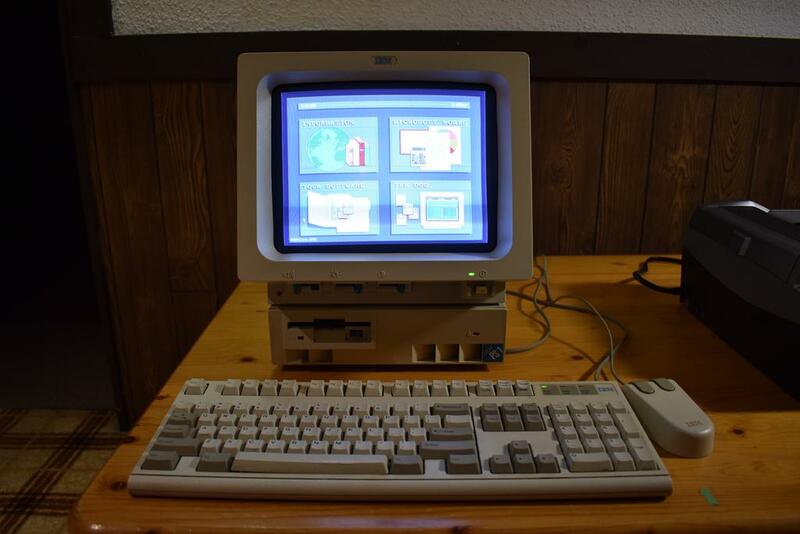 The Screen was the Classic "Green Phosphor" Display that displayed ASCII Characters. designing applications and hardware like building Image scanners and Traffic control Simulators. Dot Matrix Continuous Paper onto the ground before they had a chance to turn off the system. (Not my photo but it's exactly like this and still fully functional). I remember those. I was contracted to redesign some B&W TVs to interface with these so the school that was using them could save money on the overpriced monitors. I did and they wanted a dozen or so modified. I can't remember all the details as that was in the late 70s. regular TVs at slightly lower resolution. It was much more complicated than that as I remember. I had to disable the tuner and IF sections and match the video signal to to the luminance input of these TVs they wanted to use. I think they were 19 inch screens, so larger than the monitor's screens. Ended up with 300 lines horizontal resolution, IIRC. That's not much by today's standards, but these weren't putting out fine details in the text. Both existed really. Some computers of the era -only- had a RF output so you could connect a tv to them, some had both a composite output and a rf output, and others just a composite output. Lower end tv's often did not have a composite input, so if you computer had only a composite output you needed a rf modulator to get the signal do display on the tv. As rf modulation and demodulation aren't perfect the picture over rf tuners could look worse compared to composite, but with the resolutions back then it wasn't that big of a problem. Screens intended to be used as computer monitors always had non-rf inputs. This sort of started with the monochrome (green and then amber) displays, got to digital color with CGA with a very limited palette and resolution and trough EGA eventually went to VGA which supported full color (8 bits per color, same as any current non-hdr display). The VGA input connector is still featured on many computer monitors sold today, though i doubt it's hardly used as most people just connect by hdmi or displayport - giving a better quality image even if your computer does have a vga output connector (some desktops still do, it's becoming very rare in laptops). I recall working with CGA, EGA and VGA, though it has been quite some time since I thought in those terms. By the time color got added to computers, the ability to use a regular television vanished and slowly monitors became able to switch between these modes and included interlacing and non-interlacing. Because the vertical and horizontal scan rates changed from one mode to the next, these monitors had to have pincushion correction for each mode which was often switched at the low side of the deflection yoke circuit. Yeah, i think it sort of disappeared with the arrival of LCD screens. 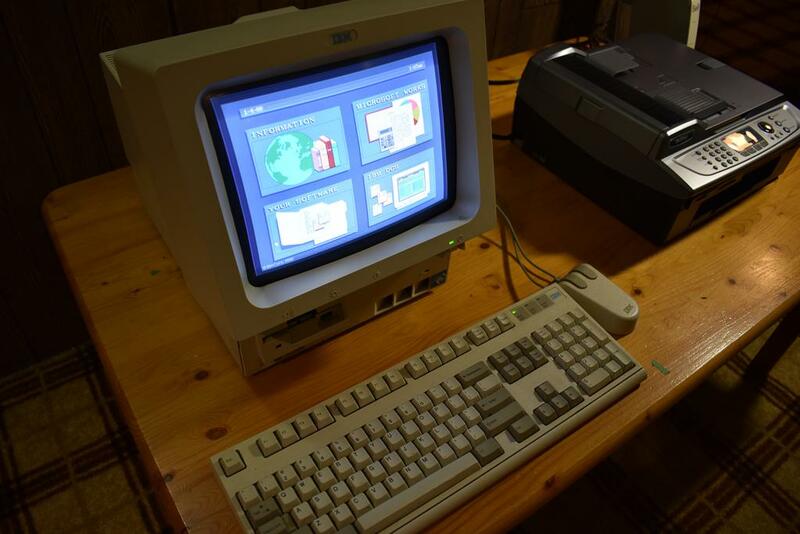 There used to be some really good (S)VGA CRT monitors, which had adjustments for all kinds of things (both deflection axes, pincushion, rotation, anti-moire for the shadow grille etc). I have seen 37 inch CRT monitors. They weighed over 200 lbs. I've also had to deal with CRT monitors that retailed for over $50,000. Changing the CRT in one is an all day project as convergence is very complex. I guess you can use most any large screen TV as a computer monitor now. Not that I would need such a thing, but it is easy to do. 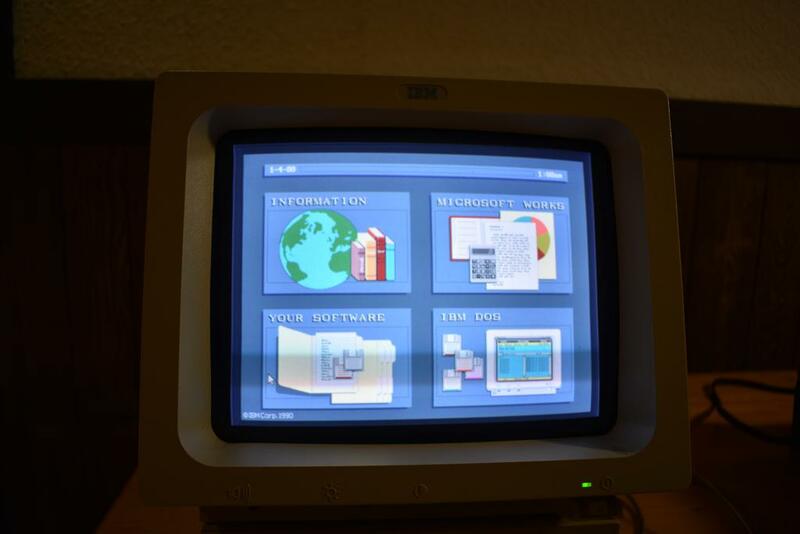 Those huge high-res CRT's seem to be a thing of the past now. Probably good riddance give the cost and weight of the things. They used to be in medical imaging equipment too, though more modern equipment can just zoom in to get a detailed view without any need for a huge screen. Currently there would be a reasonable argument to buy a TV and use it as a computer monitor if you want a very large screen. For office work and such it wouldn't make that much sense to set up a 40 inch monitor, but i reckon for people that are into gaming and such it might. But...can it run Crysis 3? Love messing with stuff like that. Must be cool for your kiddos or next generation to see that old stuff still works.